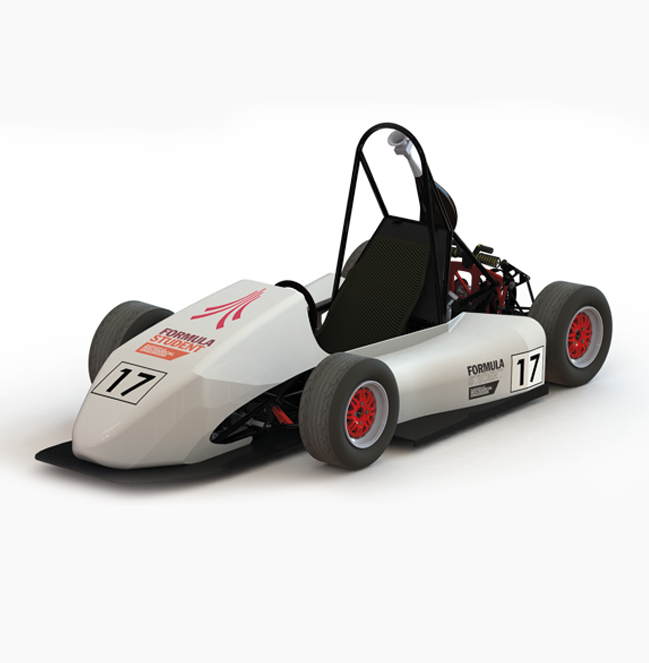 For the past 5 years, Shermaynes Engineering has been the main sponsor of Lancaster Racing, a team of undergraduate masters engineering students from Lancaster University. As part of a final year project for the students, the Lancaster University Formula Student Team must design and build their own competitive single seater, open wheel formula style race car to enter the worldwide Formula Student competition. The team have had a number of successes and are continuously trying to improve. Every year the event grows in popularity, with more teams, including Universities from other countries, competing. This makes it increasingly difficult to compete and achieve a high position. Many teams operate on a large budget and have access to the very best parts and materials. This is where the significant contribution from Shermaynes helps Lancaster Racing enormously. As Lancaster Racing’s main sponsor, Shermaynes provides financial support and essential services such as powder coating, which enables the team to not only compete in the event, but also become a top UK team. “Without Shermaynes Engineering we would not be able to build the cars that we do, and we are grateful for their continued support”.